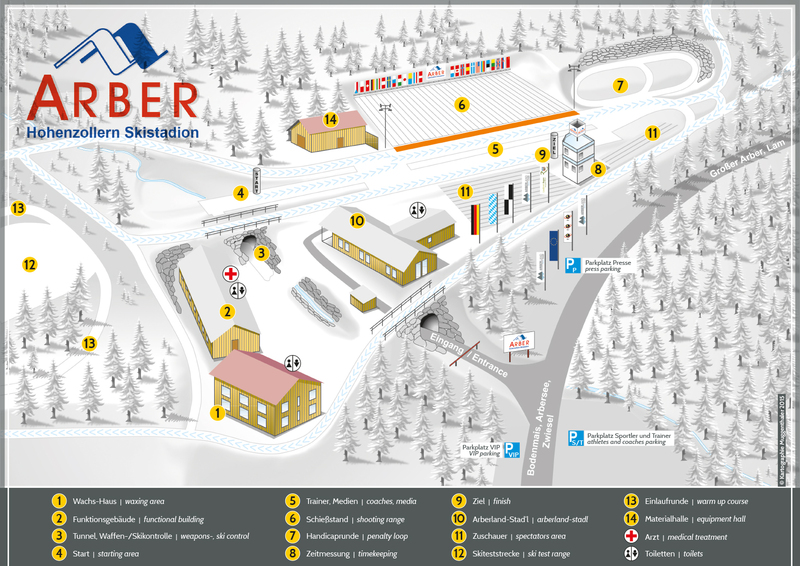 The Arber-Team-Biathlon is a sportive competition for the young and the old every year in February. Everyone from the age of 16 who wants to have fun with friends, colleagues or club mates can participate. One team consists of three members. You are alone and you want to participate? You have the possibility to start in a mixed team. Previous knowledge is not necessary. Skiing equipment is for rent at the stadium for 10 Euros. Zeroing 30 minutes before start. Participation fee: 178, 50 Euros per team of 3 people incl. taxes (Prices of 2016). The entrance for spectators is free. Equipment for rent directly at the stadium for 10 Euros per person and equipment.